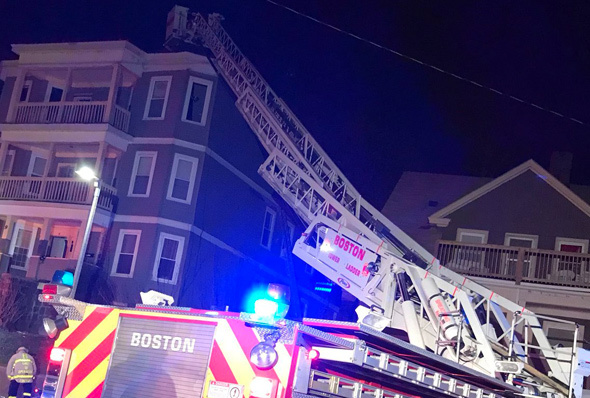 Firefighters were at 9 Duke St. in Mattapan tonight when Ladder 10's ladder. No firefighters were on the ladder at the time. Read more.